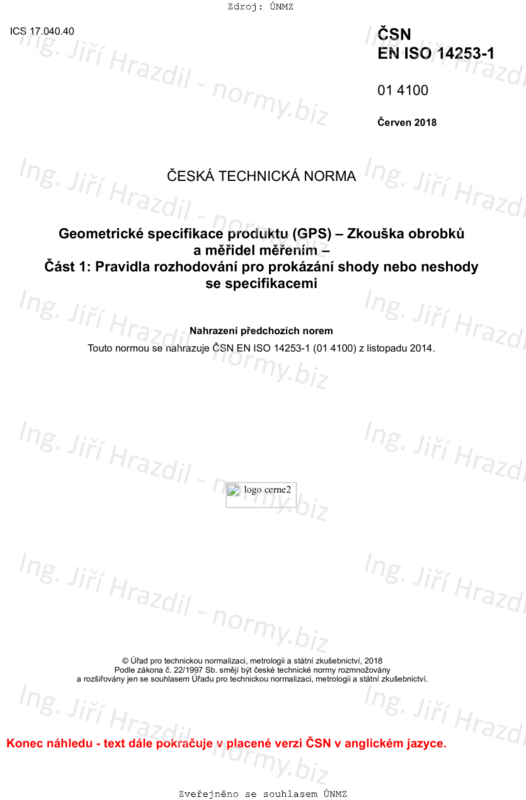 This document establishes the rules for verifying the conformity or nonconformity with a given tolerance for a characteristic of a workpiece (or a population of workpieces) or with a given maximum permissible errors for a metrological characteristic of a measuring equipment, including when the measured value falls close to the specification limits, taking measurement uncertainty into account. - measuring equipment specifications (usually given as maximum permissible errors). This document only applies for characteristics and maximum permissible errors expressed as quantity values.